The following article appeared in Nest Egg on 29 November 2018, and discusses the hidden costs of investing. Investing can be an expensive business. The sad fact is many investors are paying for outperformance and are getting the opposite. Everyone wants a comfortable, padded seat on the gravy train, from brokers and advisors to fund managers and administrators. It all adds up and it is you, the investor, who is paying the price. 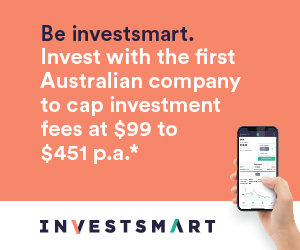 If you are among the one in five Australians who has a financial adviser, you will either pay a flat fee for a Statement of Advice (SOA) or a percentage of your total portfolio (generally 1- 2%) in fees. While there are now several independently-owned platforms in Australia, many advisers still use the ones owned by the big four banks, which are not only expensive but favour bank- owned products. large chunk of your investment returns to product managers.